Sod provides instant beauty to your Sarasota property. We are equipped to handle any installation job from start to finish—whether it is for a residential property or a large commercial client. A new sod installation is considered as one of the simplest ways of upgrading your property; our specialized installation process will focus on soil conditioning, grade engineering, and the final grading since our specialization in sod installation covers both the suburbs and urban-based properties. Your lawn can be the envy to the neighborhood if only you allow it to be handled by our professional team. All you need to do is choose the kind of service that want us to execute in terms of planning and designing, then let us have a meeting to discuss your requirements, after which we recommend the best services that suits your taste before we commence the project in order to acquire your desired results. 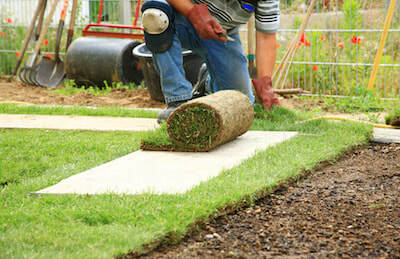 Our sod installation services is one that is very popular with our customers. This includes the sod delivery, installation, and a starter fertilizer. Our own sod installation crews will do the installation. We are also fully insured. Working with our team and having us provide our professional installation service provides the convenience and expertise when installing your new lawn. For many, taking the time to spread grass seed, then cover it with straw, and then wait patiently for it to grow is just far too long of a process—and we get that. Sod can help you avoid that all together. Although slightly more expensive, it is worth it to receive fast results. Working with our staff, we are fully aware of how time moves fast and therefore dedicating of few hours each week to maintain your lawn can be tedious or next to impossible. This has motivated us to design and program the services that suit all your needs as you commit to your other important life hurdles. Our passion is to ensure that you get the lawn and yard that you have only been dreaming about be it commercial or at your home—and sod installation can help to get you there faster than ever. You’ll be pleased to know that you do have options when it comes to sod. There are many different kinds of sod available to choose from, each of which give your lawn its own unique look, feeling and texture. We can walk you through the benefits of each to help you weigh what might be right for your property. In the end, customer service is our top priority, in all our projects, it is always our pleasure to have a customer coming back for a repeat service, we therefore strive to ensuring that what we offer is the best services through mutual cooperation among ourselves. Our appointments are usually schedules on a timely manner with an aim of creating the mutual understanding that will be of great help before we start executing our services. 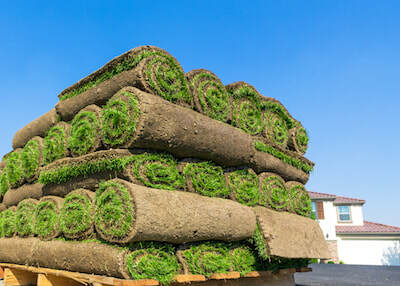 To learn more about our sod installation services in Sarasota, FL, contact our team at Sarasota Landscaping Services to learn more and set up a consultation.